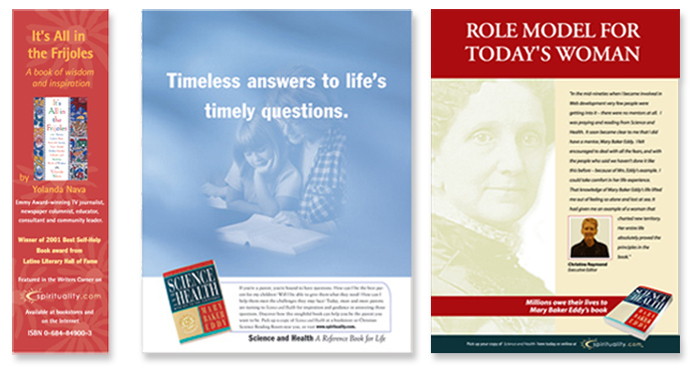 National Campaign for Science and Health by Mary Baker Eddy. Ads Featured in "O", Oprah magazine and Real Simple magazine. September 11th, 2001 Spiritual response to our national tragedy. Posters Featured on transit system in Austin, TX. Lectures 2001-2002 Responding to Fellow Seekers. Catalog for use at Christian Science Reading Rooms and church branches. International Exposure to encourage worldwide membership. Ads Featured in portuguese, french and spanish language publications. 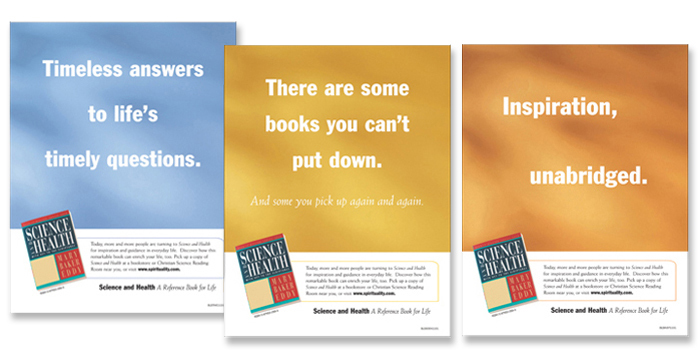 Marketing and Testimonial for Science and Health by Mary Baker Eddy. Ads Featured in CS Monitor and the Sentinel. Inspirational Marketing offering spiritual resources for women. 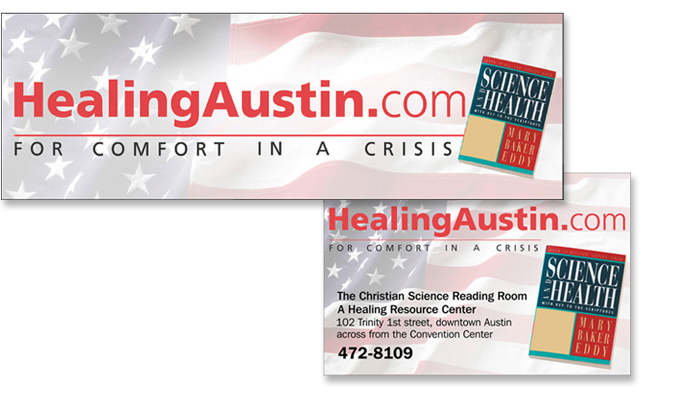 Ads and Bookmarks Featured in magazines and on www.spirituality.com.